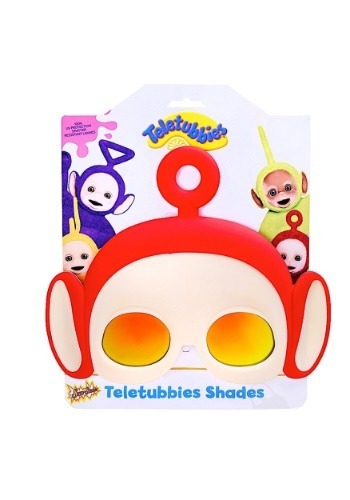 If you agree with us and think Po is the coolest Teletubby then these shades are for you. Featuring mirrored amber shatter-resistant lenses, these Po sunglasses are an essential component when dressing up as the best Teletubby. They're also officially licensed, offer 100% UV protection, and will complete any Po costume. Now, you have everything one needs in order to PO-tray Po. (Okay, okay we'll stop with the Po puns... for now.) Just wear these sunglasses, jump on a scooter, snarf down a piece of toast, and babble incoherently and everyone will think you're the real deal.